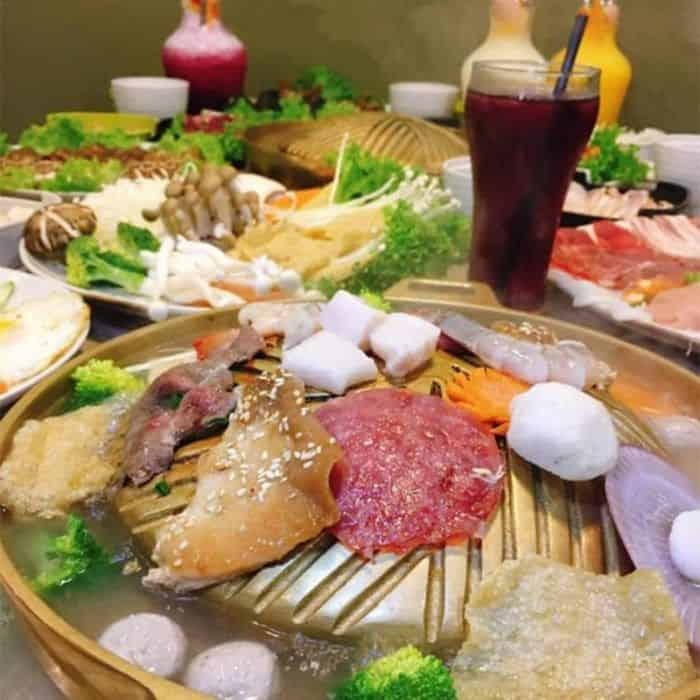 Enjoy Mookata in Kuala Lumpur with GrabFood! Mookata! 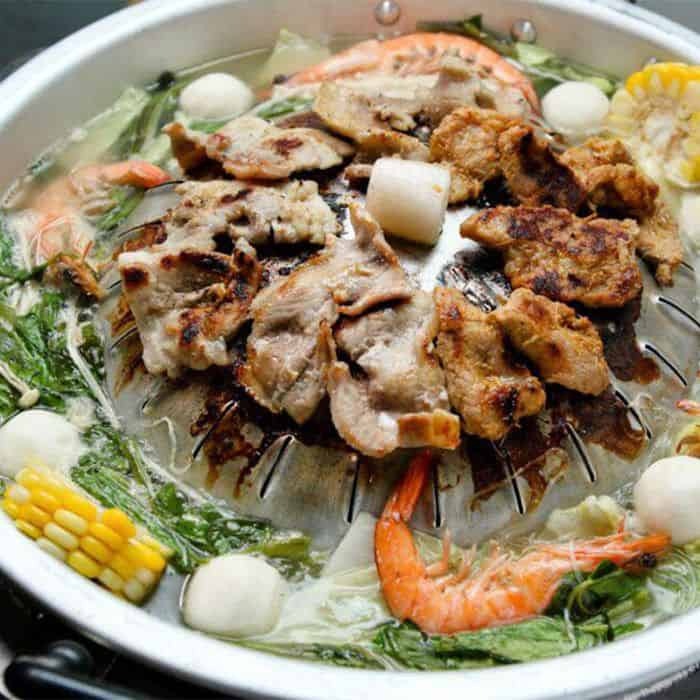 The latest addition to the steamboat craze, Mookata offers us the best of both worlds to grill favourite cuts of meat and seafood and the resulting juices will flow into the soup broth, making the broth to have enhanced taste. This northern Thailand specialty relates to ‘pork’ and ‘skillet’. This is made possible with the unique design of an elevated metal skillet for the grill as well as a surrounding indented moat that houses the tasty soup broth. Pork lard is traditionally used to grease up the grill before cooking. Mookata is a very good activity to enjoy with your friends and family, filling up your bellies while catching up with each other. Here are the top 4 spots to enjoy Mookata in Kuala Lumpur! Located at Kuchai Entrepreneurs Park, NK Mookata uses the traditional charcoal style grill which is said to enhance the flavours. Charcoal Mookata has its benefits like not smelling like grilled meat after a mookata session, and NK Mookata ensures the quality of charcoal to be the ones without generating smoke. There is a selection of condiments that have Thai roots that are available, like Fish Sauce, Lemon Juice, Red and Green Chilli and chopped garlic. Now onto the main course, the majority of the customers would go for the Standard set. It contains a generous amount of Sliced Pork, Chicken, Seafood, Meatballs and Vegetables. The marinated meat is done with a secret sauce the owner uses to enhance the taste of the meat after being grilled. Other than mookata, they have other Thai dishes like Fresh Prawn Salad, Braised Pork Leg Rice and Papaya Salad. Senthai Mookata is a Thai restaurant specialising in Thai cuisine and mookata located at Jalan Menjalara. 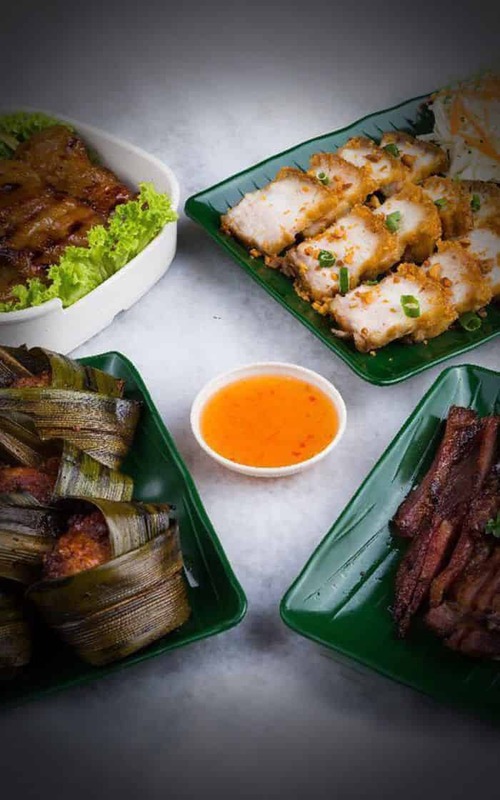 They pride themselves with authentic Thai taste and deliver that to their customers, which can be seen in also using charcoal as their main heat source to impart flavours into the broth and the meat. Their homemade dipping sauces are a hit with many people, where they have 3 different sauces for different types of meat. We recommend the sesame sauce, with its rich taste accentuating the taste of the grilled meat. As for choices of meat, there are about 4 different choices for a different number of people. The Pork Lite set is the smallest for about 1-2 pax. It includes a generous amount of pork, mushrooms, corns and meatballs, alongside a healthy portion of glass noodles. You can scale up to their standard pork set and add on seafood set for 2-3 pax and lastly, the Deluxe Four Season Set that serves up a wide variety of premium ingredients for 4-5 pax. If you want to add specific pork cuts or other ingredients, they allow you to add individual portions of ingredients to your own liking. 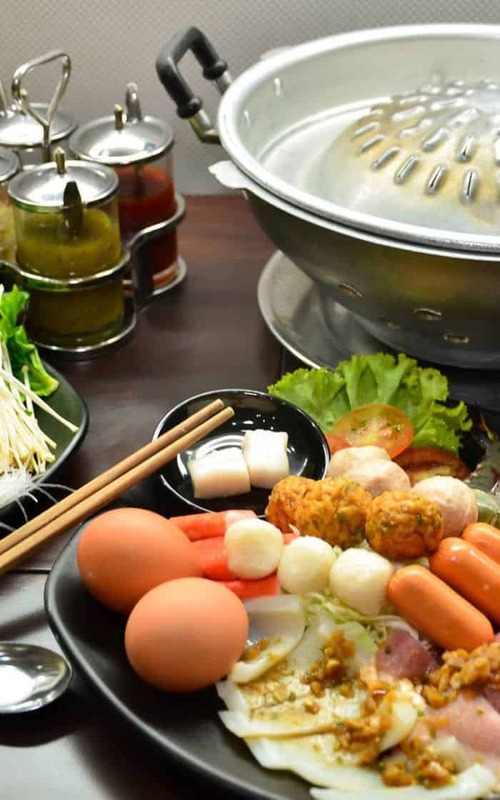 You should also try out their popular Jim Jum, a type of traditional Thai steamboat and even Thai Papaya Salad to end off the wonderful meal. Meat Junior is located at SS2 Petaling Jaya and serves up a good mookata meal. With gas stoves inbuilt to the table seatings, it is heartening to see a safer method used than just portable stoves with gas cartridges. First off, they offer different sauces to spice up your meal or enhance the flavour of your meat. The meat platters are a must try, especially the extreme meat set which contains a combination of pork, chicken and beef. They also include an egg to enhance the texture of your grille meat by first dipping them into the egg before cooking them. That’s not all! The cabbage provided includes free refill as well so you can eat to your heart’s content. If you are in a group of about 4 – 6 people, you can consider Meat Junior to be a location for your group dinner. Reviews have also praised Meat Junior for their efficient and friendly services as well as their generous and high-quality servings. Chiangmai Mookata & Thai Street Food can be found at Skypod Square in Puchong, and the first thing that might catch your eye would be their simple decor that makes you feel very comfortable to dine in. As mentioned in their store name, their speciality focuses on street food from Thailand as well as Mookata. Similar to the 3 different mookata stores above, the set meals comprise of different fresh ingredients like pork belly, meatballs, chicken, prawns and many more. Be sure to order up vermicelli and eggs that would heighten the mookata experience to another level. Of course, to complement your mookata meal, their street food are a definite must try with crowd favourites like the Stewed Pork Leg, Pork Noodles in Clear Broth or even the Grilled Pork Neck. There you have it, 4 different locations for you to enjoy a sumptuous meal of Mookata with your beloved friends and family. Be sure to follow us on the GrabFood blog to find out where the delicious food places are at for your next meal! Alternatively, log onto your GrabFood application and order from your favourite restaurants today!